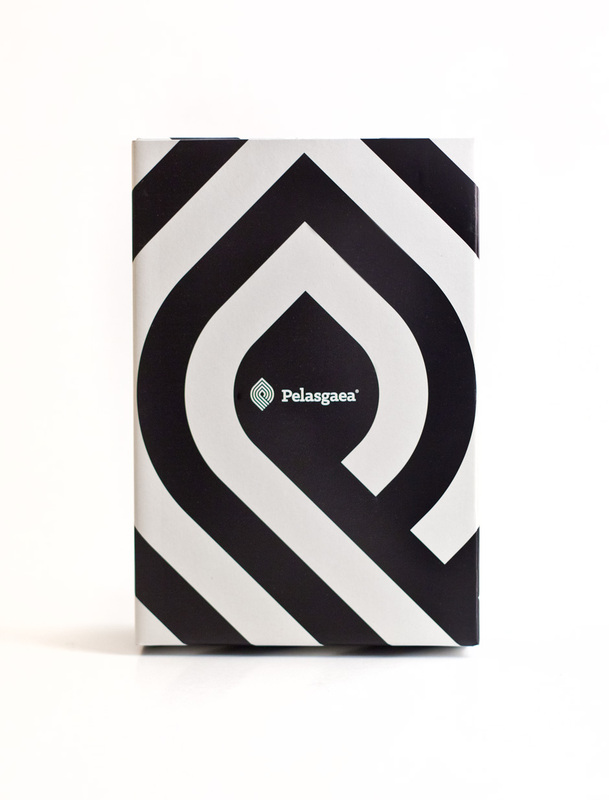 We were commissioned to design a packaging series for Pelasgaea S.A., a new company that produces premium quality Greek agricultural products. Such as extra virgin olive oil, (organic and P.D.O. 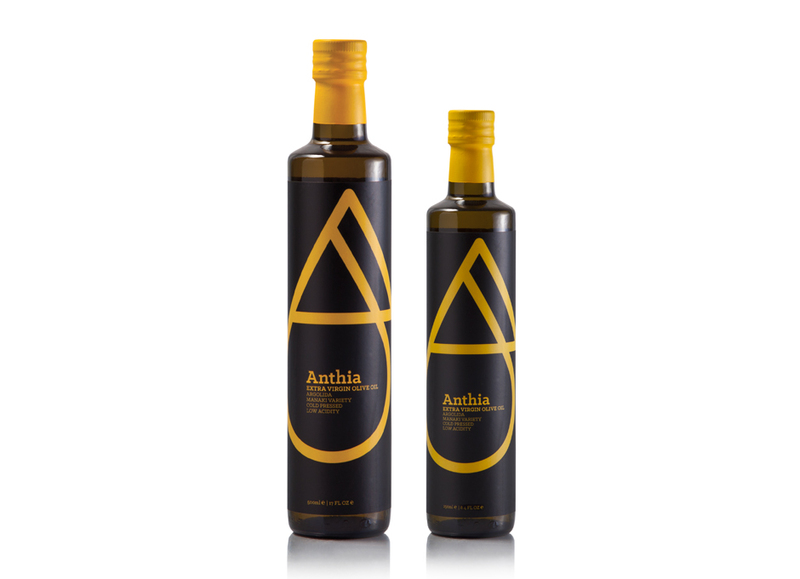 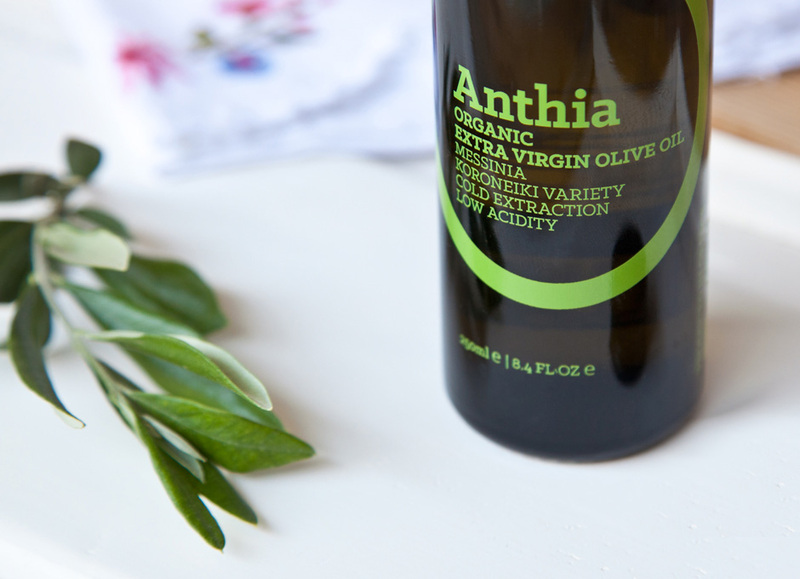 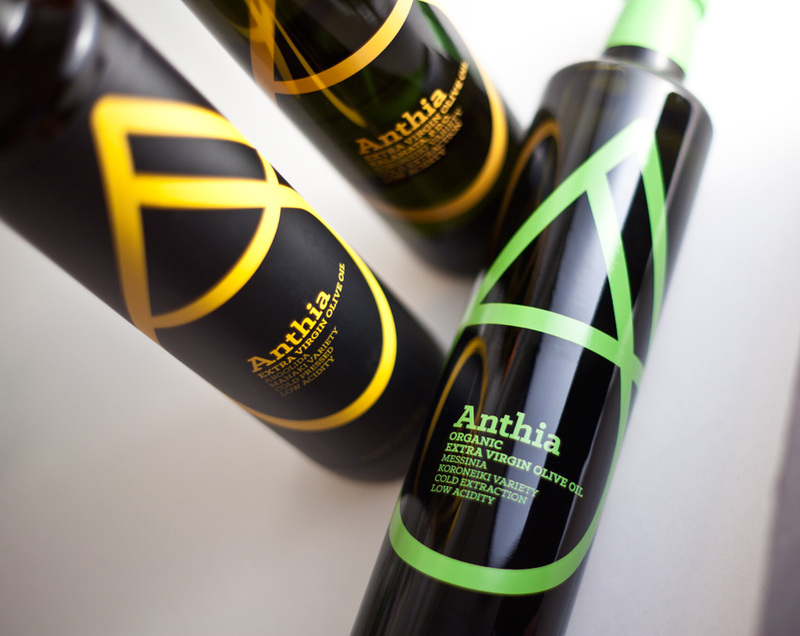 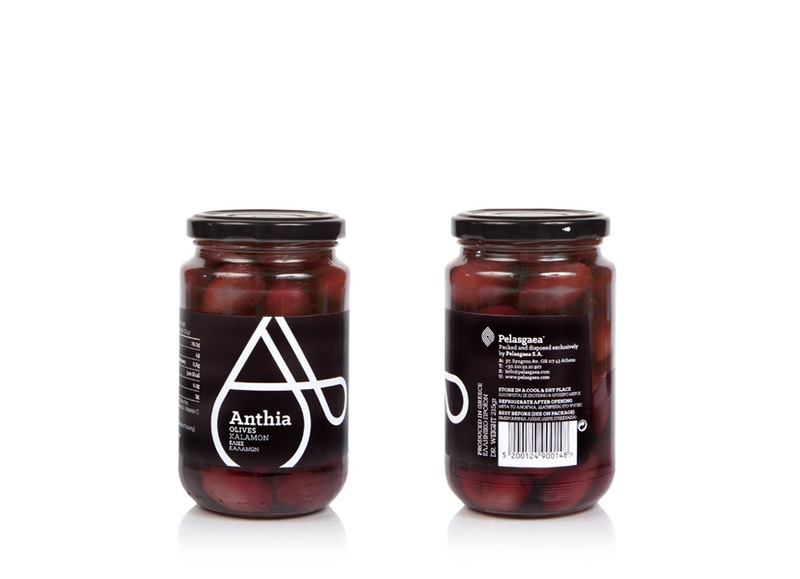 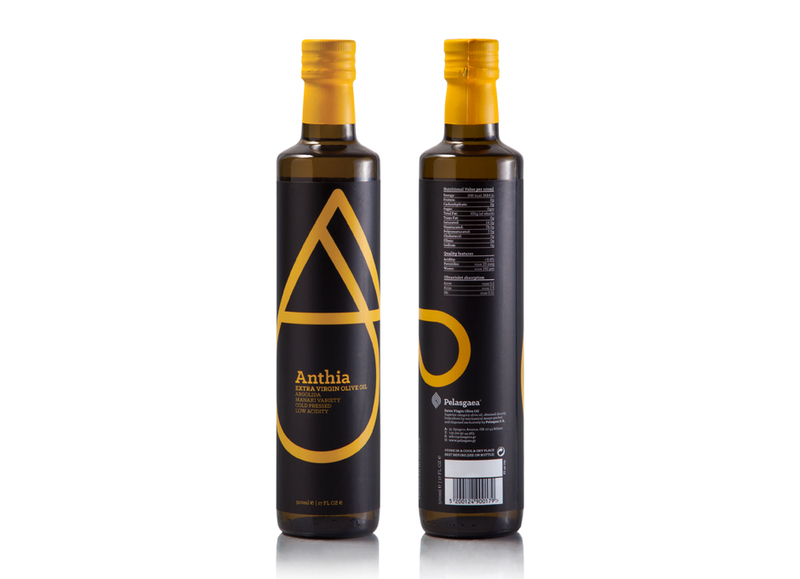 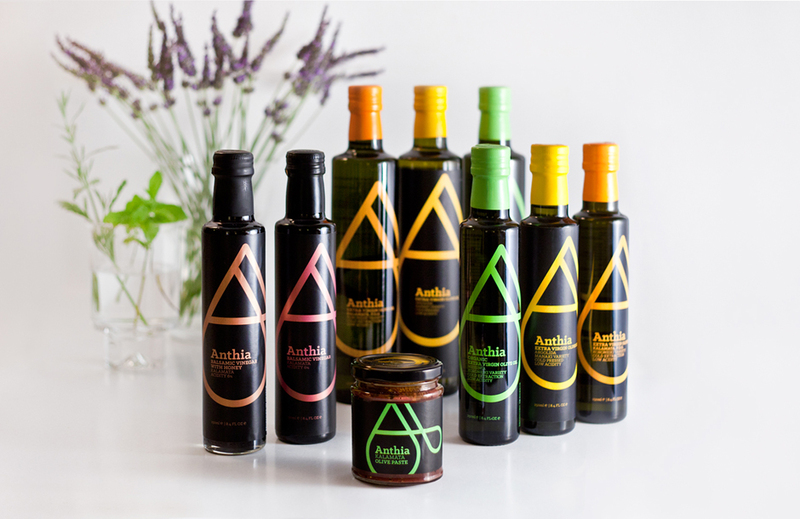 ), balsamic vinegar and olive paste, under the brand name Anthia. 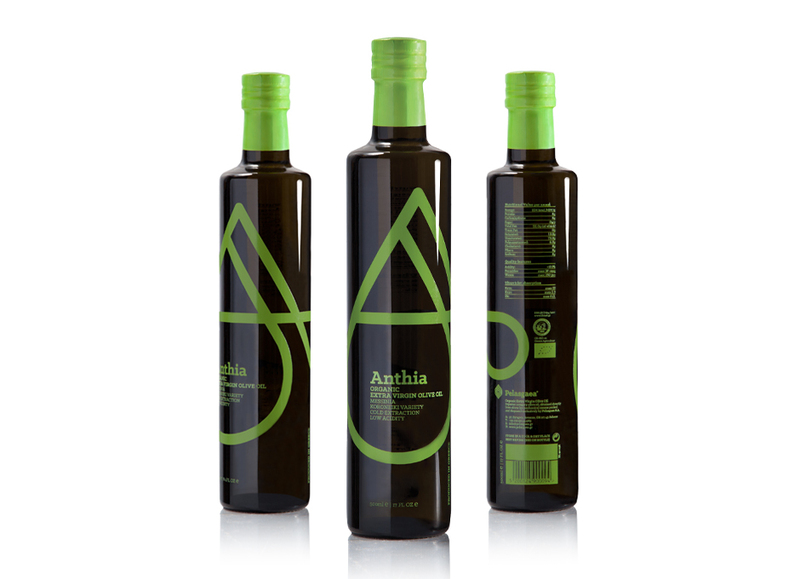 A symbol that comes from the letter “A” and the shape of a drop are the main characteristics of the packaging logo. 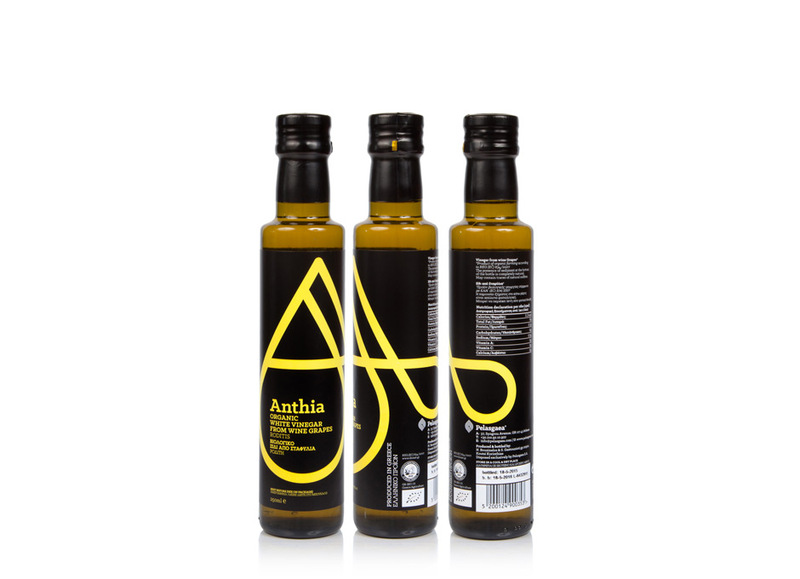 The symbol is rather big in order to create a dynamic perspective and the typography is always inside the drop. 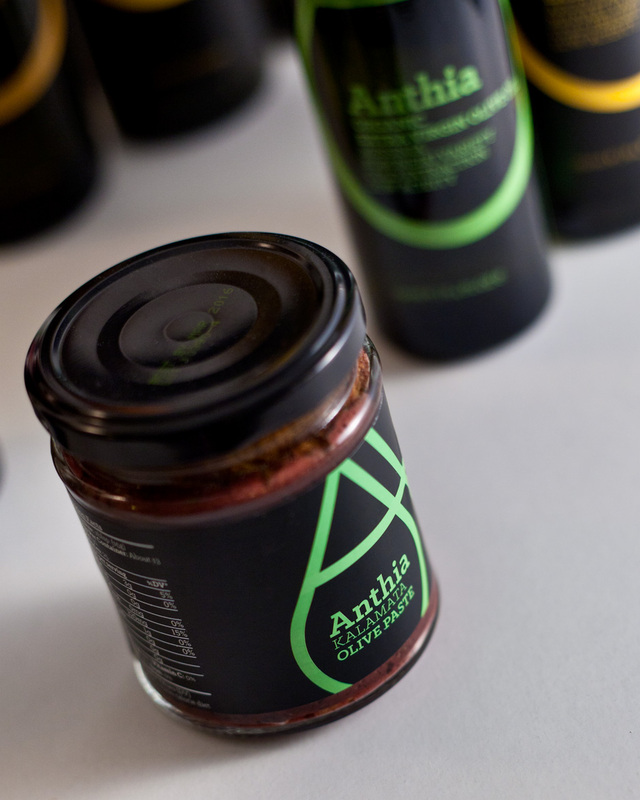 Every product gets a unique color so it can be easily identified as part of the product family and the same time, stand out. 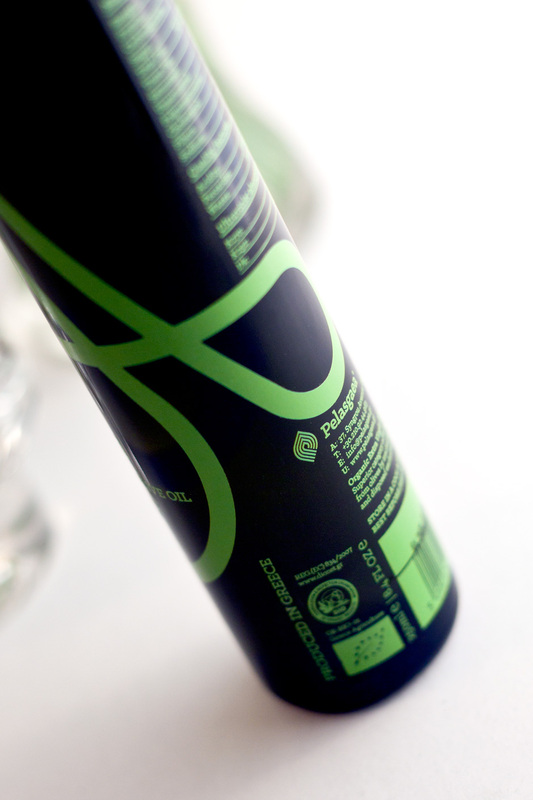 The Organic and the P.D.O. 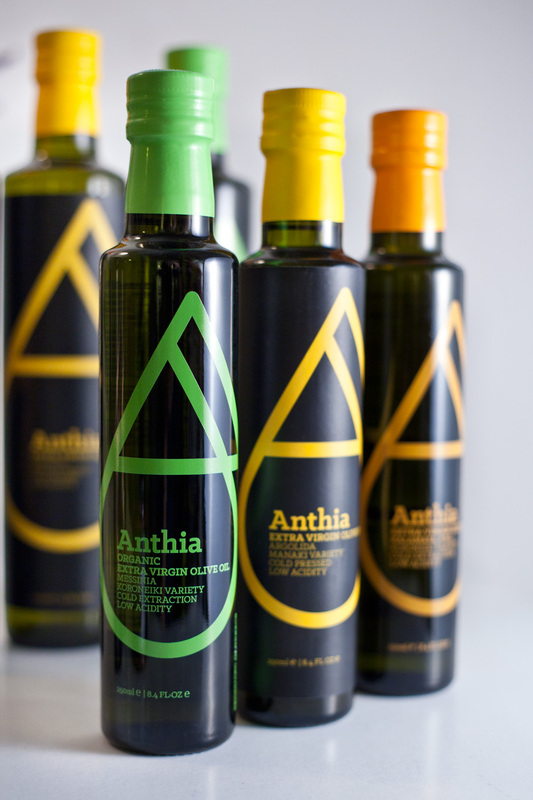 bottles are screen printed and all the others use a nice black label and a solid color for each pack. 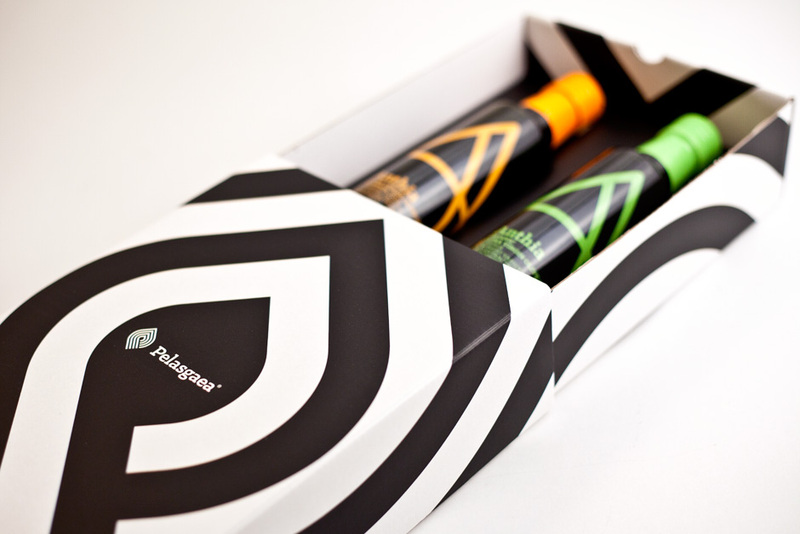 On the packaging of the two vinegars we used at special metallic inks to make them unique. 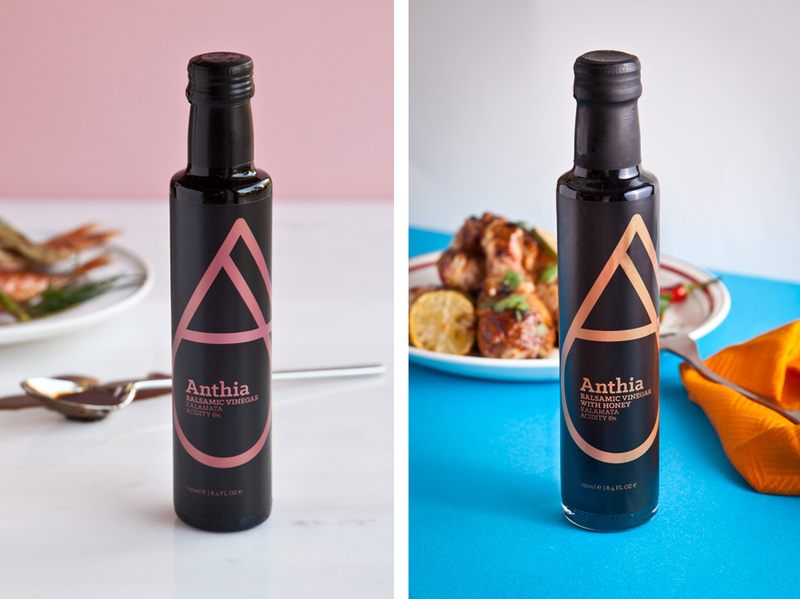 In 2015 another wine vinegar was added to the family. 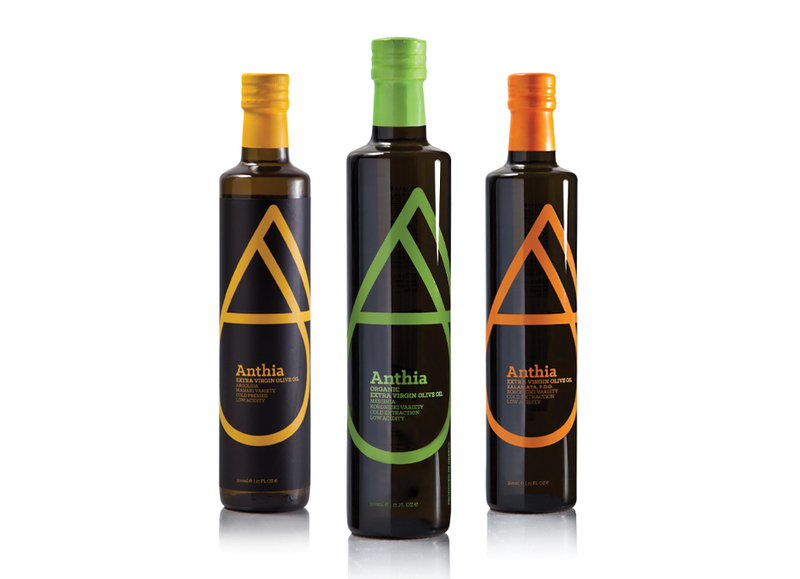 Also we designed the labels for the new olives series. 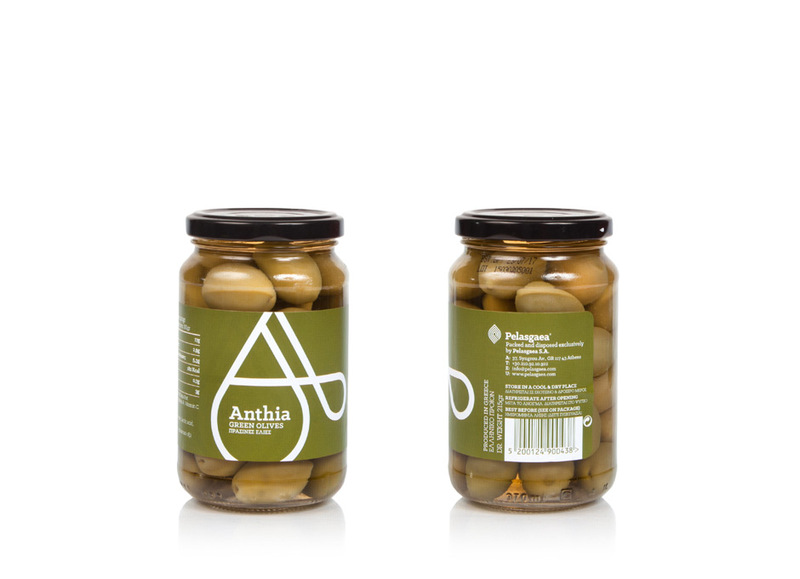 At the end, we came up with another packaging solution. 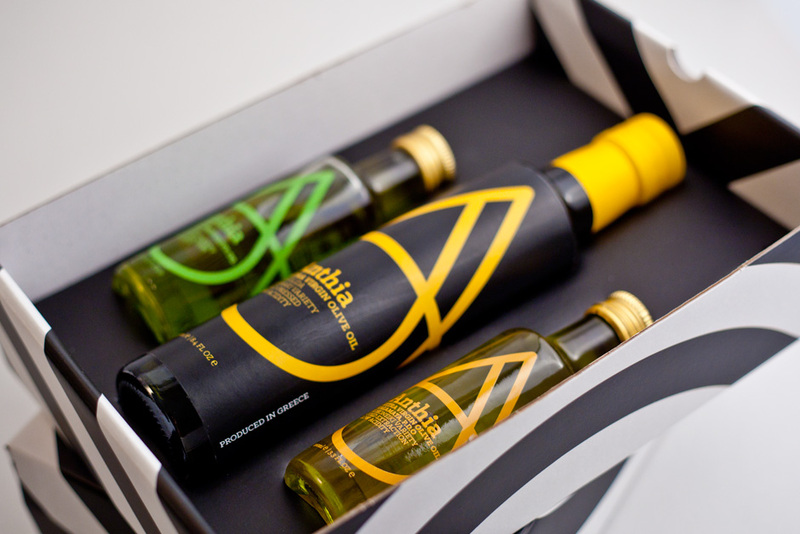 A gift box, design with the values of Pelasgaea brand, for the olive oils that includes two small bottles of 100ml olive oil and two 250ml bottles or two 250ml bottles. 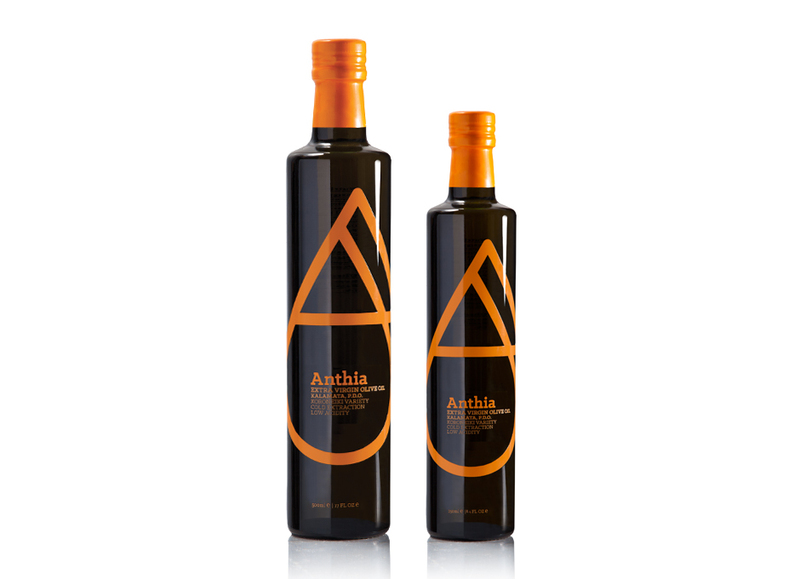 2015 update: Packaging has won a silver award at Labela (GR) packaging awards.